The long wait is over, with the new Samsung Galaxy S8 and S8+ hit local stores on May 5, 2017. The smooth, bezel-less Infinity Display of the new smartphone enables users to see and do more than ever before, while the smooth lines and ergonomic curvature of the device, ensures that the phone looks great and fits comfortably into your hand. These latest designs are available with either a 5.8-inch or 6.2-inch display and come with an upgraded 8MP F1.7 front camera, complete with smart autofocus. In addition, there is a 12MP F1.7 Dual Pixel rear camera, delivering enhanced multi-frame image processing, for sharper photos, even in low-light environments. “The phone is also water and dust resistant, making it ideal for South Africans, as we tend to spend a lot of time outdoors. This means users have the freedom to explore, stay connected and capture their adventures,” says Craige Fleischer, Director of Integrated Mobility at Samsung South Africa. Security is of paramount importance and the Galaxy S8 and S8+ come with enhanced biometric capabilities, including an advanced iris scanner and facial recognition technology, as well as the advanced Samsung KNOX platform. The upgraded specs of the two phones offer both increased performance and efficiency thanks to the industry’s first 10nm processor, Gigabit LTE and Gigabit Wi-Fi compatibility and the first officially designated Mobile HDR Premium screen. Samsung’s key partnership with Google Play Music will continue with the launch of the Galaxy S8. Users will now have access to special features created specifically for Samsung customers. In order to qualify, purchase a Samsung tablet or smartphone from the 29th of March 2017 and it will come with a free three-month trial of Google Play Music. Consumers will also have double the storage in their Music Locker and can now store up to 100 000 songs, not mentioning the free storage space and easy access to all music. “The launch of the Galaxy S8 is complimented by an expanded ecosystem that features impressive new services and devices, including: Bixby, the Galaxy S8’s intelligent new interface; Samsung DeX, which provides a desktop-like experience for the Galaxy S8; intuitive IoT device management via Samsung Connect; expanded healthcare solutions through Samsung Health; and so much more. 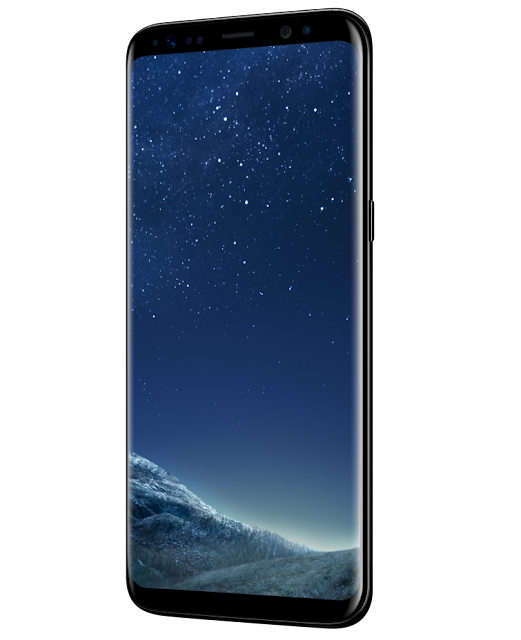 The Samsung Galaxy S8 and S8+ are designed to allow users to see and experience more than ever before and to do so safely and securely, while at the same time enabling consumers to project an image of stylish simplicity,” concludes Fleischer. Customers will be able to obtain their device in a range of rich colour palettes, including Midnight Black, Orchid Gray and Maple Gold. Several more colours are also due to be launched later in the year. The Galaxy S8 will retail at a Recommended Retail Price (RRP) of R15 499 and the Galaxy S8+ with a RRP of R17 499.